Calm your kids down with a session of soothing yoga! 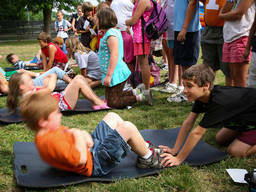 If your kids love gymnastics and dancing, try calisthenics! Let your children choose the routines they like!